Broadly speaking, this research project examines the private Arabic press in Beirut, from its inception in 1850’s until the mid-1880’s, as a major vehicle for the development of modern Arab discourses about religion and its relevance for social, cultural, and political spheres. The focus is on al-Jinān; a bi-weekly periodical concerned with politics, society, and culture that was published between 1870 and 1886 by Buṭrus al-Bustānī—a major figure of al-Nahḍa (“Arab Renaissance”) in the 19th C—and edited by his son Salīm. However, in order to provide a broad picture of the social and cultural context for the formation of modern Arab discourses on religion and society, other periodical from the same period are also considered, such as al-Bashīr (1870-1947), which was issued by the Jesuits, and Thamarāt al-Funūn (1875-1908)—the first Islamic periodical in the Arab world. This research project is driven by two central questions. First, how the relationship between Islam and Arabism (ʿurūba) were conceptualized in early Arabic periodicals, given the significant role played by Christians in Ottoman Syria in its development? Christian writers such as Buṭrus and Salīm al-Bustānī made it possible to imagine a cross-confessional Arab community with a distinctive social and cultural identity, yet Arab history and literature, on which they extensively drew, are closely connected with the spread of Islam and its literary, social, and political development. Furthermore, many of these writers were Ottomanist in their political orientation, which raises the question of how they viewed the relevance of religion, especially Islam, for the political and social order they advocated. Secondly, these debates and discussions about religion, Arabism, and politics were not taking place in a vacuum. There were specific societal reference problems to which the Arabic press was responding by offering interpretations, solutions, and a forum of discussion. In the context of Syria in general and Mount Lebanon in particular after the massacres of 1860, sectarianism was a primary concern in the pages of Arabic periodicals in Beirut, especially al-Jinān. Another major reference problem was the politics of the Ottoman State and its administration in Syria, which was struggling to implement reforms while mediating between different social groups and responding to increasing colonial influence in its internal affairs. The examination of reference problems can be helpful to situate the Arabic press in its social and political context and to take the analysis beyond the text into sociological reality. 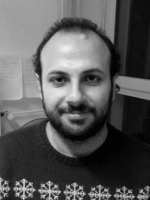 Senior Researcher, HCAS "Multiple Secularities - Beyond the West, Beyond Modernities"
Magout, Mohammad. “Ismaili Discourse on Religion in the Public Sphere: Culture as a Mediating Concept,” in Muslims in the UK and Europe. Edited by Yasir Suleiman, 140–49. Cambridge, 2015.